Copra Millers Fiji Limited is facing intense compeition. The company has recorded a loss of $3000 between January till date. This was revealed by Copra Millers Fiji chairman Raj Sharma who said that the shortage of copra had affected its business. “We have coconuts around the Northern Division but the problem is the transportation and the access to where the copra is,” Mr Sharma said. “More than 50 per cent of the nuts come from stakeholders but 30 to 40 per cent of coconuts that are thought to be left on the field by farmers do not reach the mill and is actually being sold as heaps to market vendors and others outside the coconut business. The shifts in the industry have prompted Copra Millers Fiji to diversify some of its products, Mr Sharma said. “We have brought in products like coconut sugar and coconut water,” he said. “But even as new products emerge, we should not forget copra as most rural farmers also depend on mature coconuts as a source of living. Mr Sharma said farmers are now being paid up to 20 per cent more for the copra they supply to Copra Millers Fiji. “In 2016, there was increase in copra price because of an increase in the world market price for coconut oil,” he said. “The best thing about selling copra to Copra Millers Fiji is that they pay immediately upon receiving copra and do not wait for the oil to be shipped. “Not all copra farms have recovered from the 2016 Tropical Cyclone Winston and the increase in copra prices benefited those farmers who were affected by the cyclone. Mr Sharma said they are re-assessing their ability to meet this high demand and if need be, they are also look at importing copra from a few Pacific Islands countries. He said they need to see maximum sale during this period to maximise profits. He said good the news was, they had received requests for 1000 metric tonnes of copra for the next three months. Mr Sharma said the virgin coconut oil product was a Fijian original product before other countries followed in investing in virgin oil products too. “There are also a strong market for green coconuts and a high demand for coconut replanting,” he said. “Sri Lanka is a reputable country for producing the best A1 coconut oil and Fiji can also take that reputation, if we either invest in costs to educate farmers. 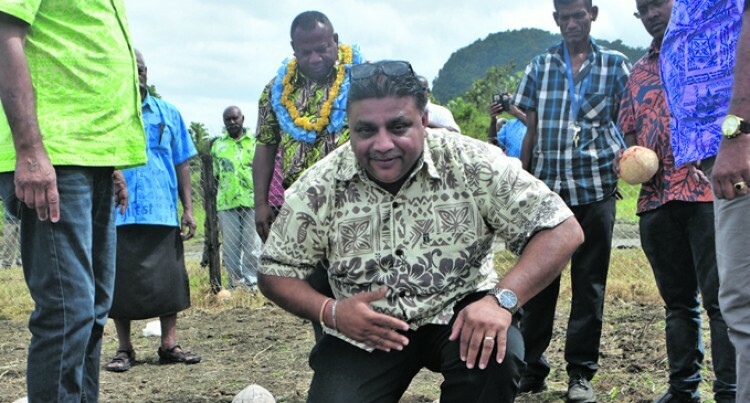 He said that was because Fiji harvested and used coconuts that matured naturally unlike Asian countries who harvest coconuts when not fully matured.